TIG's Matrix PVB Magic Mesh CFM is the answer to all fermentation needs. It's individuals air control design, imported Magic Mesh and Centralised Control Console ensure the best possible hygiene, high output and uniform fermentation. The 'modular' concept allows for enhancement in capacity. The Matrix is supplied with individual modular dampers for complete flexibility in air control. Humidified air from a specillly designed Mist Chamber complete the system. The concept of two stage fermentation has gained wide popularity in the Tea Industry due to better results. The orientation of two stages can be arranged in different ways to suit individual reqirement and preference. The first stage and the second stage have independent fermentation time setting arrangement and provide much more flexibility to the user to achieve desired results. The bed thickness can also be varied in two stages depending on fermenting needs. The Dhool dropping from the first stage to second stage allows better aeration & the cascading effect avoids caking of the tea bed, resulting in more uniform fermentation across the width and length of the machine. The use of upturner and /or plough is eliminated, resulting in better liquor character. The heart of TIG's Matrix PVB CFM is the specially imported Magic Mesh with 46% open area. 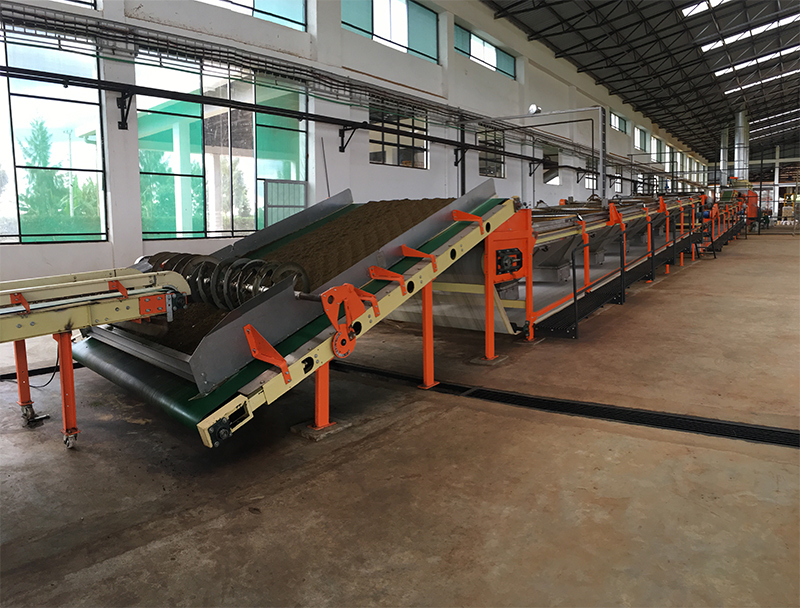 This Magic Mesh provides several advantages: Open area nearly 80% more than SS trays/belts, which ensures even fermentation across the tea bed, improved cup characteristics and infusions. Availability of the Magic Mesh in up to 10ft,width,which is space saving and enables wider machines and shorter lengths. Specially designed idlers and SS skid plates are provided to support the Magic Mesh conveyor. Each module is fitted with an Individual Damper to draw only the required quantum of humidified air. The common duct runs parellel to the machine and specially designed air chambers with perforated pressure plates are used to feed humidified air to each module. This design eliminates accumulation of tea in ducts. The machine is designed for maintaining the highest standards of hygiene and uses stainless steel Aerodynamic Hoppers. All parts of the machine coming in contact with tea are also made of stainless steel. The heavy duty rectangular tube section framework adds to the strength of the machine. The matrix is low in height making it convenient to monitor and easy to clean. Circular SS Tapered Air supply Ducts are provided to maintain uniform air pressure throughout the length of the machine. The circular design improves hygiene and air flow into the machine. 1. Eliminates the needs for a drive pedestal. 2. No obstruction in floor space. This console has an in-built AC Variable Speed Drive, Temperature Inductors, busbar arrangement with MCBs, Ammeter, Voltmeters and push button motor on/off switches. These are all enclosed in dust proof, powder coated, two-door panel. For continuous supply of fresh humid air into each module, a Centrifugal Blower is connected to the Mist Chamber or Y-Duct to suit the site conditions. Two humidifiers are provided with the humidification system. 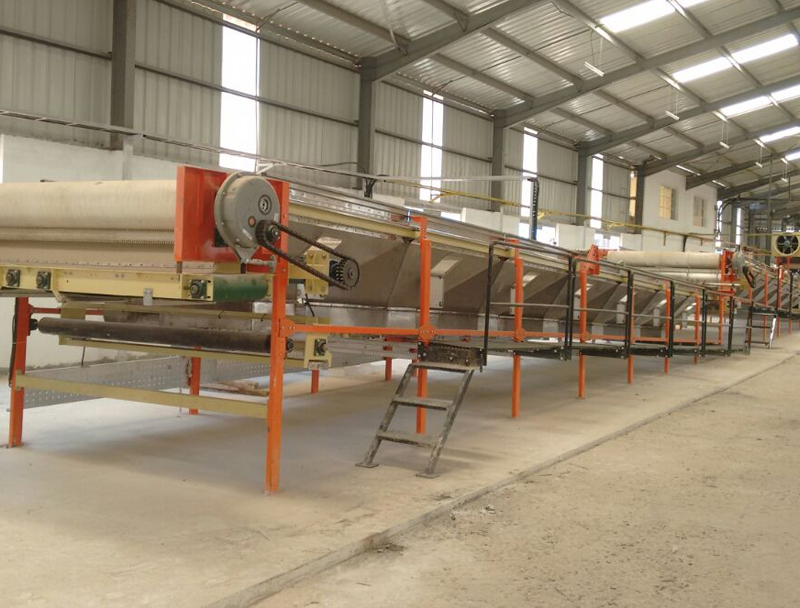 A full width(10'/8'/6'/4') PVC Feed Conveyor with Spiral Spreader ensures regulated feed and even spreading of 'dhool' on the machine. An extended belt can be provided to reduce feed height and enable direct feed from the CTC or Googhie. Unique simple detachable design which allows changing and cleaning brush even when machine is in use. This is a new feeding device.This helps to spread the tea uniformly at the feed end of the CFM and eliminates use of the full width feed conveyor and spreader. This is also more suitable and convenient for online processing. 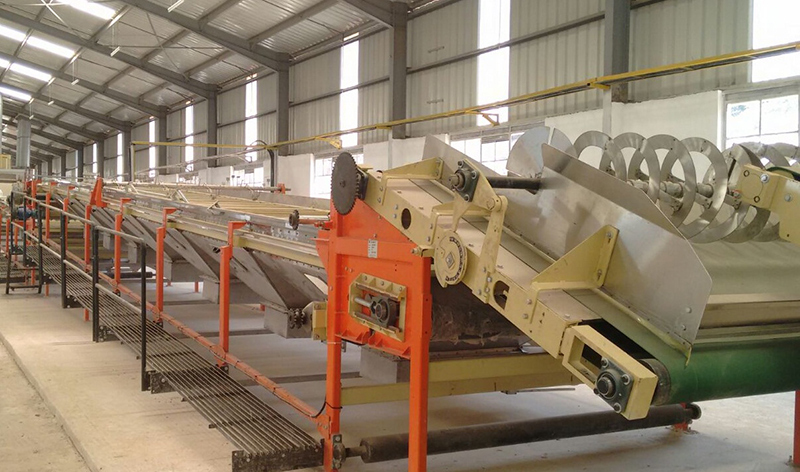 To ensure even fermentation through the cross section of the bed, a slow speed, specially designed ensures that grades are not disturbed in the process. 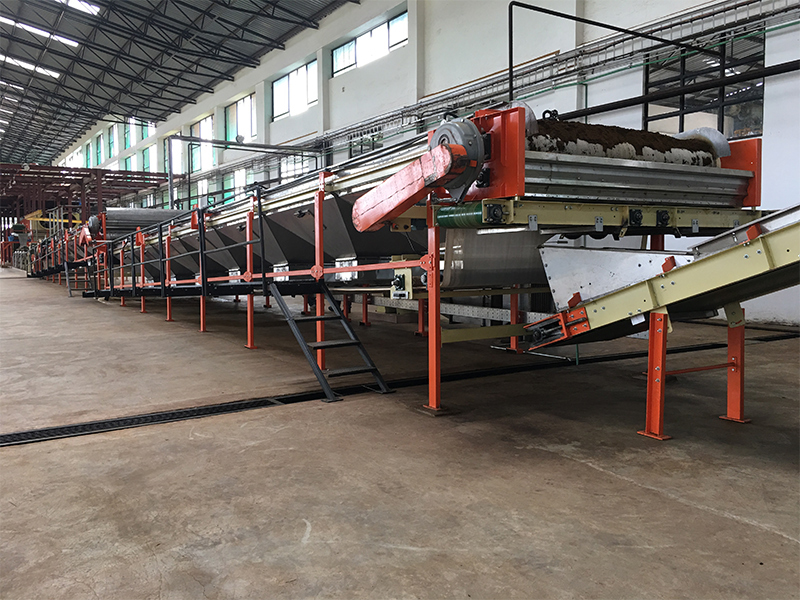 These can be the standard type or twin type, which are used to discharge teas at either end of the machine or in the centre, to suit factory layout. Stainless steel full width ball breakers can be provided with independent drive arrangement and easy cleaning system.